The Hadham Brewery was started as a result of a discussion between two local residents and the current owner regarding the fact that Hadham is in an ancient part of Enlgand where the best malting barley in the world has been gorwn for hundreds of years, and yet there was no brewery? This area of England is called the Icknield Series, and is a seam of loam over chalk upland running oughly from The Wash to Dorset, along which there is an ancient highway called the Icknield Way. The Icknield Series was recognised over 150 years ago by brewers and maltsters as ‘producing malts of character superior to any other’. The brewery is based at Little Hadham to allow the use of the new borehole purpose drilled into the chalk aquifer of the Ash Valley. The borehole itself is one hundred metres deep, lined, and descends through the chalk aquifer. It has been designed and installed as a potable water source close to where there has been a water source since Roman times. The combination of brewing with barley of the Icknield Series and water from the Icknield Series is unrivalled in the production of quality crystal clear ales the world over. Hadham Brewery only uses Maris Otter barley from the Icknield Series which is then malted at Warminster Maltings, the oldest working maltings in Britain, and Hereford hops from a quality supplier, both with full traceability. The brewery at Hadham is purpose built from new stainless steel pipework. It includes an automatic cask washer and filler and new stainless steel casks, all of which combine to ensure the hygienic integrity required so that the fine quality cask ales reach you, the consumer, in perfect condition every time. This special part of the Icknield Way at Hadham is in the rural county of Hartfordshire (Hertfordshire) where the Hart roamed free for centuries. A Hart is a male deer which is over four summers in age, and Hartfrodshire was where the more mature stags were to be found when the King wanted a more challenging days hunting. It is also why a Hart can be seen drinking from a pool of clear water on the HADHAM logo. The materials and equipment used by the Hadham Brewery are of the highest quality and of the best provenance available. 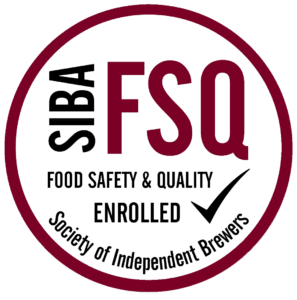 This results in some of the best quality fresh ales. 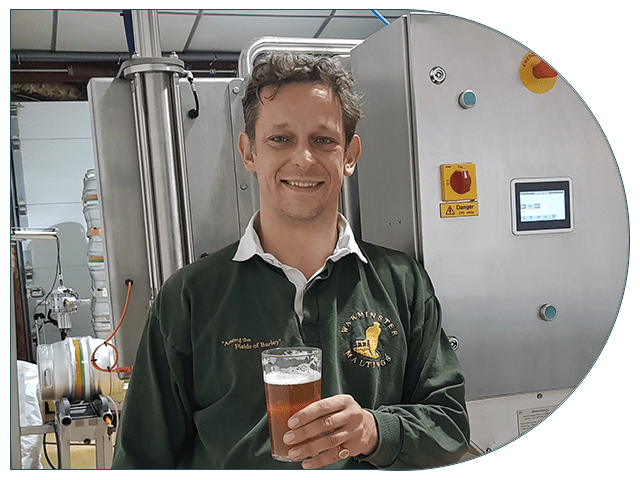 With excellent quality, crystal clear ales and fantastic customer service, the Hadham Brewery is a long term stable and sustainable business. William has always been interested in science, creativity… and beer, so moving into brewing was a natural choice. With over twenty years’ experience in brewing, William joined Hadham as head brewer in 2016. He has brought his knowledge and passion to create and brew our beers and ensure they are consistently good. William is pictured here with our state-of-the-art casking machine, of which there are only two in the country! 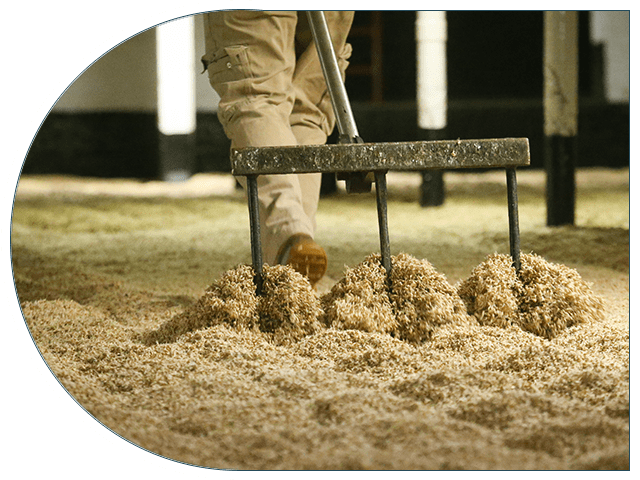 We use the very best ingredients in our beers ranging from traditionally floor malted malts from Warminster Maltings to the completely pure natural spring water that we extract from our very own bore hole. Warminster Maltings actually uses the ‘Ware design’ style of Malting which was developed in the Hertfordshire town of the same name, close to the halfway point of the Icknield Path. The Icknield path is generally said to be, within Great Britain, one of the oldest roads of which the route can still be traced, being one of the few long-distance trackways to have existed before the Romans occupied the country. 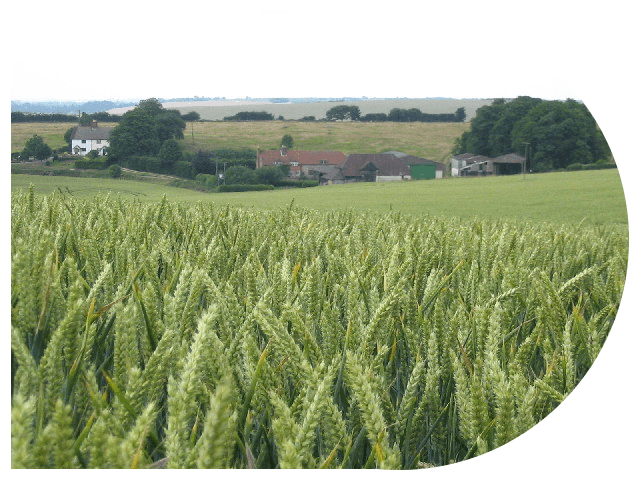 If you’d like to learn more about Warminster Malts, please visit their website.